Louvre Systems is the home of the sunshield and rainshield louvre systems. 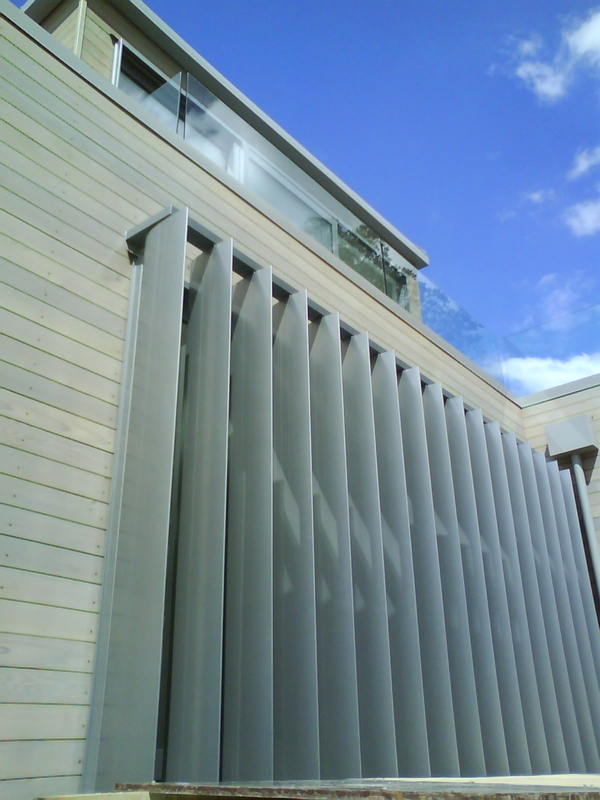 We also offer specific solutions for many other applications including flue screens, privacy screens, fences, gates, architectural features and more. Louvre Systems is a North Island wide rainshield louvre company. Our head office is located in Tauranga with satellite locations across the North Island as Louvre Systems continues to build on its position as a focused manufacturer and marketer of quality louvre products and applications. Established in 1999 as Sunshield Louvres Ltd, we undertook to completely rebrand in order to promote our wider range of products including the popular rainshield louvres. However, Louvre Systems still proudly owns the Sunshield brand while promoting the full range of privacy screens, flue screens, fences, gates and doors. Owned and operated by Rob and Debbie Woolrich, Louvre Systems combines family values with corporate flair in the louvre systems marketplace. With many years of experience in the business, you can be assured that we at Louvre Systems understand the requirements of your project. Louvre Systems supports local New Zealand suppliers such as our locally sourced aluminium which is a core component of our louvre systems. The Louvre Systems and Sunshield Louvres brands have become synonymous with top quality louvre products within the louvre industry. We are proud of our flexible approach and ability to deliver customized solutions as we are able to give you the quality louvre designs you want. At Louvre Systems we have several core values that we work by, our simple approach with direct and open communication aims to provide you with a top quality louvre system. Constant research and development provides new solutions to add to our range of louvre products ensuring we have something for everyone. Full service means Louvre Systems provides support from the initial consultation right through to design and installation of your louvre system. Backed by our comprehensive warranty and guarantee system, we have your investment security to mind. Whether you are working on a small residential project for your own home or a large scale commercial development, Louvre Systems has the solution for you. We will glad provide design ideas and suggestions to truly enhance your louvre system. Louvre Systems is a family business owned and operated by Rob and Debbie Woolrich. While Rob works as the managing director of Louvre Systems, his wife, Debbie directs and provides administrative management. Whether you are working on a small residential project for your own home or a large scale commercial development, Louvre Systems has the solution for you. Contact one of our regional agents listed below. We are committed to upholding our core values in every project and task we take on. Our simple approach with direct and open communication aims to provide you with a top quality louvre system.